Plåtskylt i vintage stil. Skylten har rolig text "I´ve been SINGLE for a WHILE and I HAVE TO SAY ... 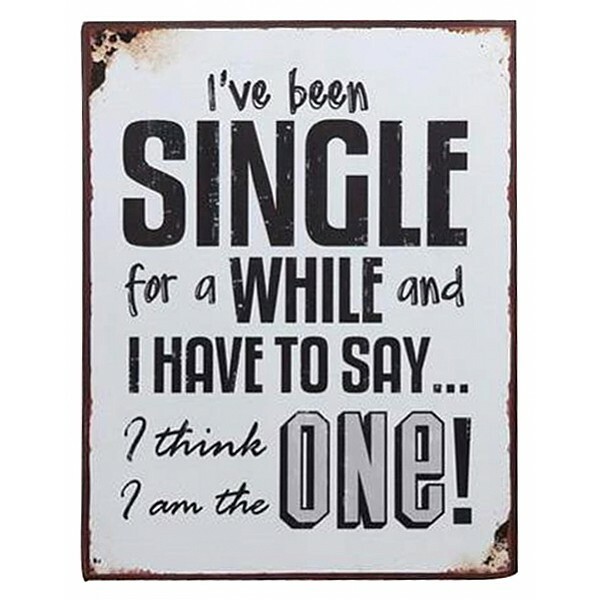 I think I am the one! ".